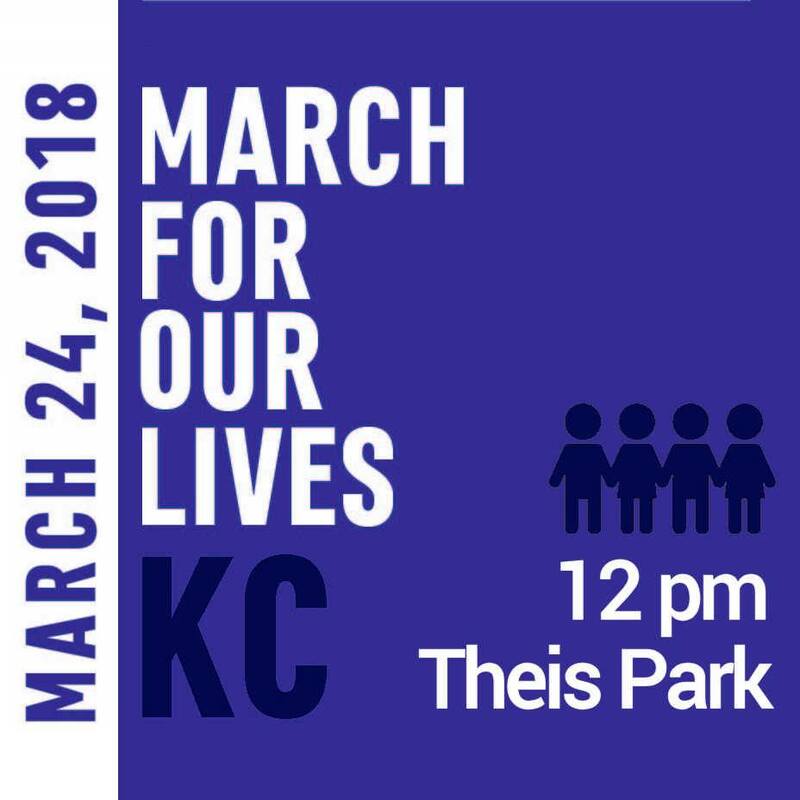 In case you haven’t already heard, there’s a March for Our Lives event at Theis Park (just south of the Nelson Atkins Museum) in Kansas City from noon to 4:00 p.m. on Saturday, March 24th. This to coincide with hundred of marches across the country. There are also planned marches in Lee’s Summit, Warrensburg, Springfield, Columbia, and St. Louis. As of this writing the social media site for the Kansas City march indicates that over 3500 individuals have confirmed that they will attend and that almost another 10,000 are interested in attending. Uh, the police always show up when several thousand people protest in public. Even when the protesters are armed. A couple of other trolls joined in with their indignation. Gee, they believe they need all those firearms in case a tyrannical government (they get to choose who and when apparently) needs to be overthrown by their force of arms. There is the small matter of not having an air force, but they always seem to ignore that. It probably galls them that the tyranny of the NRA could possibly be overthrown by people showing up and voting on Election Day. Where to start? Well, you’re already losing when you’re trolling at a site for an event that’s anticipating thousands of participants. Perhaps they could start their own pro-NRA march and see who shows up. But they won’t because they already know what’ll happen. Not much. The reality is that a lower percentage of American households have firearms. Gun manufacturers have to sell their wares to a saturated market. Fear goes a long way to getting someone to buy more of something that usually takes a very long time to actually wear out. Hence the significant, but much smaller, number of individuals who have acquired more than one firearm. The only individuals who actually have something to fear are the elected officials who, at the behest of the NRA, continue to ignore the will of the vast majority of their constituents. If that majority shows up and votes.